The College of Physicians and Surgeons of B.C. wants a woman known as "Dr. Lipjob" sent to prison for allegedly continuing to give Botox treatments and other injections — in violation of a court order and despite not being properly licensed. 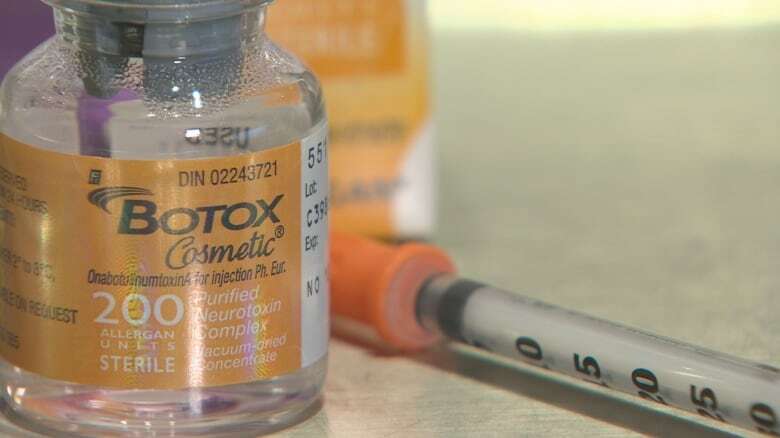 The woman allegedly injecting Botox was confronted by a salon manager brandishing a cellphone with a CBC News article on it about "Dr. Lipjob" — a fake doctor already subject to a court order brought by the College of Physicians and Surgeons of British Columbia. "I showed her the article, said to her and everyone present that she was not a real doctor and demanded that she leave immediately before I called the police," said Justin Voitic in an affidavit filed as part of a new application by the college asking a judge to punish Rajdeep Kaur Khakh with prison time and fines. "[She] appeared shaken up and quickly packed up her things… She thanked me, which I assume was for giving her the opportunity to leave," said Voitic. The college alleges that Khakh, who used to go under the Instagram handle "Dr. Lipjob," continued to inject Botox and dermal fillers despite agreeing to stop under the terms of a consent order in March. A year ago, CBC News reported that the college had done an extensive undercover investigation of Khakh's activities and posted surveillance video that was part of the court filings seeking the injunction against her. But the new college application says Khakh's "contemptuous conduct is financially motivated" and the affidavits say she charged between $300 and $420 per treatment, prices considered incredibly low. Voitic, the manager who also describes himself as a blogger and social media "influencer," says in his affidavit that he was contacted by Khakh in the spring of 2017 via Facebook. She offered him free injections of dermal fillers if she could film the procedure and post the video to her Instagram account, telling him she was experienced and that she went to clients' homes to perform the procedures, he said. He agreed. "It was very painful. I felt that my lips looked swollen and awful the next day," but after a week "the swelling subsided and my lips began to look more normal," he said in his affidavit. He then saw a CBC News article about "Dr. Lipjob" and recognized the woman as the one who had injected him. The college alleges Khakh never intended to obey the order. In court documents filed on Nov. 7, the college alleges that Khakh did not tell the stylist that she was "prohibited by law… from administering injections of dermal fillers."